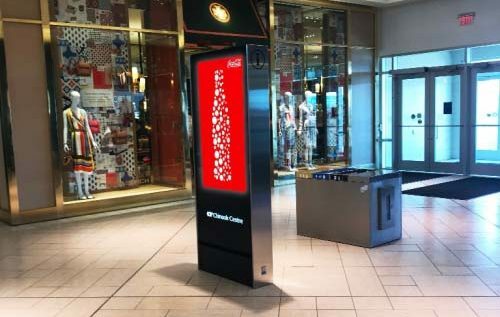 Two ‘digital spectaculars,’ measuring 4.7 x 1.2 m (15.5 x 4 ft) and 7.9 x 2.2 m (26 x 7.3 ft), grace the Rideau Centre, which was recently expanded and sees 21.4 million visitors per year. 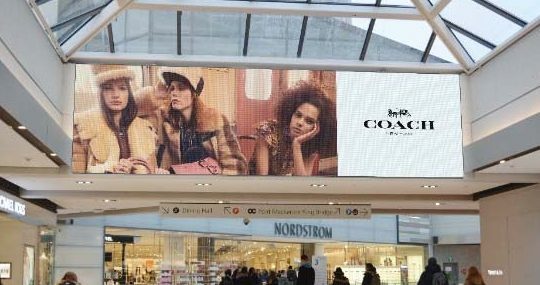 The Chinook Centre, which draws 14.8 million visitors per year, has been enhanced with 12 new 1.4-m (55-in.) digital directories. 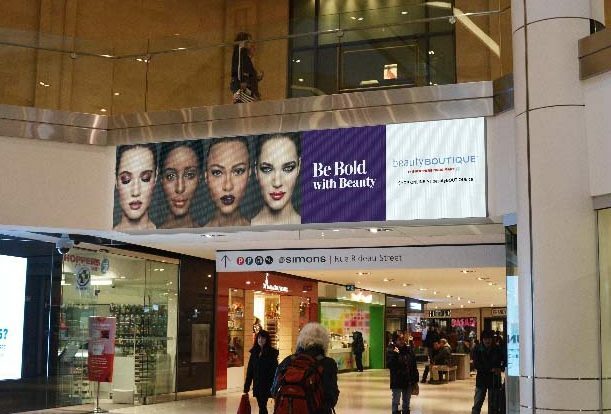 At both malls, Branded Cities offers 10-second spots to advertisers in a two-minute loop, with the capability to integrate live social media feeds, real-time conditional triggers and audience-specific targeted content.